We have recreated and improved a number of commercial kitchens in building and offices throughout the UK. The space created can leave a lasting impression. 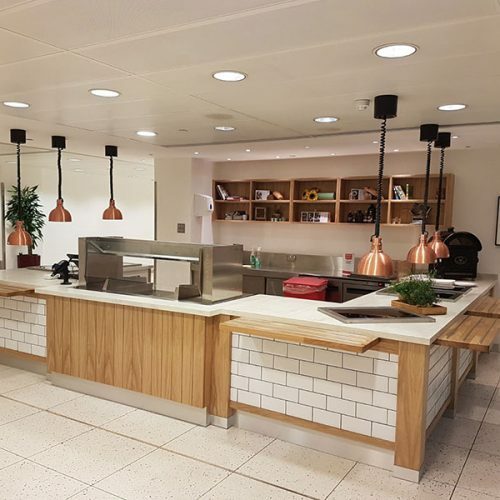 When it comes to creating the perfect commercial kitchen or eating space for a commercial or office building there is a lot to consider. We pride ourselves on working with you from the initial concept, right through to when the final product warranty expires on your chosen catering equipment, which will be supplied to you by one of our trusted catering equipment partners. Our team and your dedicated project manager will be there with you every step of the way, providing the best food service solution for you. 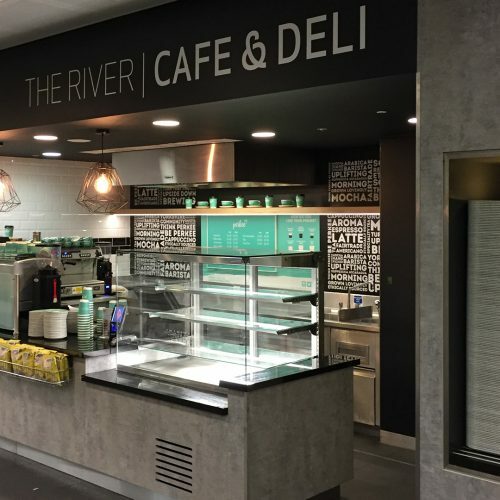 Having a well designed, modern eating area means that your staff and visitors can get great quality food in an attractive environment which will enforce a positive corporate image. It can also lead to increased staff productivity and be a hiring incentive for potential new staff looking to join your organisation. 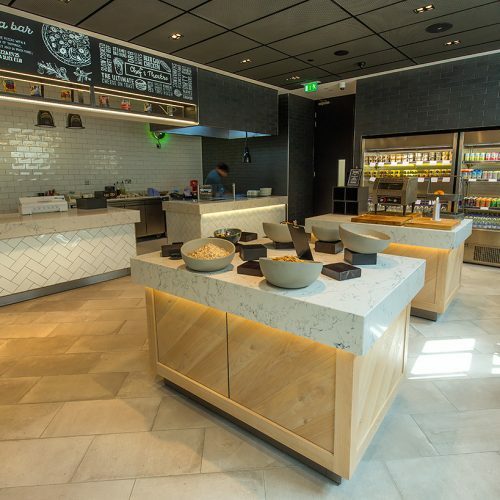 Employee break out areas and amazing eating spaces can make a huge difference to your business. Staff catering may not be hugely profitable but it still needs to be cost-effective, efficient and as sustainable as possible. The space that you create will need to be designed to handle a few peaks throughout the day and potentially provide somewhere with a calm and relaxing atmosphere for staff to work and relax. It also needs to be a space that can be utilised by guests and visitors to enjoy – the area you create will give a lasting impression. As a client of Ceba Solutions, you will be provided with a project manager who will be your first point of call throughout the project from initial site visits to meetings to project complete, at inception we will produce a high-level design of your space using the latest CAD design software, created by our experienced in-house designer.